Playing games in Spanish adds another layer of fun. There are more and more Spanish board games available in the United States, which can provide fun for native speakers of the language or help kids and others who want to brush up on their Spanish. 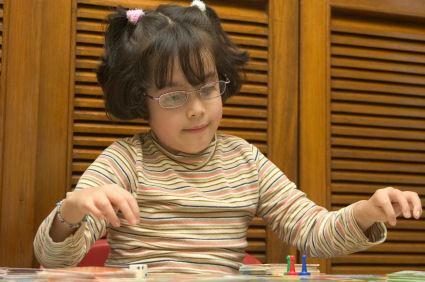 There are many different Spanish board games that can help people who are learning the language to hone their skills. Many of these are the same games Spanish-speaking children might play, since they use simple vocabulary that even non-native speakers can understand. One of the best games to play when trying to learn a new language is Scrabble. There are actually Spanish versions of the game, or you can just use your English board and spell only Spanish words. Working with Scrabble in a foreign language is very educational because you have to remember vocabulary words and know how to spell them as well. Any of these games are good for new speakers because you have a good idea of how to play them in English, and will only need to be able to understand the game cards or pieces. In addition to the Spanish editions of board games originally published in English, there are more and more Spanish board games that are available in the United States and other English speaking countries. There are many websites that include information about these games, and may allow you to buy games you would not be able to find at a local store. Geek List has a great list of different Spanish language games, with an emphasis on strategy games, war games and role-playing board games. Toys 'r Us has several Spanish board games. Amazon has a wide variety of Spanish language board games, including many games for kids, a movie trivia game, and a definitions game called Bleff. Adding Spanish games as an activity in the language classroom is a great idea because it gets kids interacting in Spanish and requires them to use their vocabulary in a more fun setting than taking a test or simply having a conversation. Start with some of the really basic games for children in basic Spanish classes, or use the Spanish versions of common English games so the students feel more comfortable. Try to get them to use as much Spanish as possible while they are playing the game. Playing Twister in Spanish is a fun idea for a small group because it's very easy and tests basic vocabulary skills. Operation is another game that uses a small amount of vocabulary, but it will help the students learn the parts of the body in Spanish. In more advanced classes, it's a great idea to have a Scrabble tournament where students can only use Spanish words on the board and also must only speak in Spanish while the game is being played. Adding board games that are in Spanish to the classroom gives students a different way to practice the language and might even get some kids excited about learning who have not been that interested in the past. Think about instituting a game day during class once a month where students can choose from your collection of games that will get them excited to play (and learn) in Spanish.